Their first fight ended in a split draw and with many grumblings about one specific scorecard. 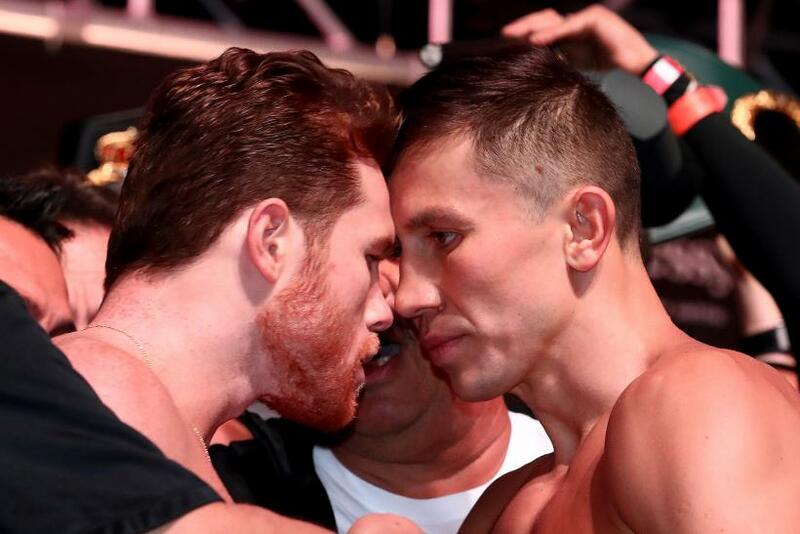 On Saturday night at T-Mobile Arena in Las Vegas, unified middleweight champion Gennady "GGG" Golovkin (38-0-1, 34 KOs) and Canelo Alvarez (49-1-2, 34 KOs) will both be looking for a convincing victory in the highly anticipated rematch of star pound-for-pound boxers. Golovkin appeared to have had a slight edge over Alvarez in the first fight, with most sportswriters giving the Kazakh either a 116-112 scorecard or a 115-113 scored. Indeed, one of the judges scored the fight 115-113, but a second judge scored it a draw. It was judge Adalaide Byrd's inexplicable scorecard of 118–110 for Alvarez that drew widespread derision. CompuBox stats favored Golovkin who landed 218 punches compared to 169 by Alvarez. Golovkin also landed more punches than Alvarez in 10 of the 12 rounds. However, there were several rounds that could have gone either way, and Alvarez may have landed more punches of consequence. The rematch promises more fireworks. Not only are Golovkin and Alvarez the very best of the middleweight division and vicious power punchers, they are among the best pound-for-pounder boxers. Lance Pugmire of the Los Angeles Times ranks Golovkin No. 2 and Alvarez No. 8 in his pound-for-pound rankings. The fight also is far more personal than last time. "Now it's time to defeat him [Saturday] night," Alvarez said of Golovkin on Friday. "It's going to be an exciting fight and big victory." "What I've always really wanted to do, I want to punish him," Golovkin said of Alvarez, according to ESPN. "I want to have a fight and punish him for all the bad things that he and his team have done, so basically to put him and his team in their place." Benjy Esteves Jr. will be the referee. Dave Moretti, Steve Weisfeld and Glenn Feldman are the judges. There are three notable fights on the undercard. Jaime Munguia vs. Brandon Cook is for the WBO junior middleweight championship. David Lemieux, who previously fought Golovkin, faces Gary O'Sullivan in a middleweight fight. Junior bantamweight star Roman "Chocolatito" Gonzalez looks to make a comeback when he faces Moises Fuentes. The fight will be shown on pay-per-view for $84.99, with HBO owning the broadcast rights. Prediction: This is a very hard fight to predict because both fighters are highly polished. However, Golovkin probably has enough in him to win because he should back Alvarez up with his aggressive style and throw more punches.